Whether you need your livestock marked for sale or examined and given veterinary treatment, it can be difficult keeping them secure and in place. Fortunately, the team at Ace Equipment can provide cattle crushes that make these tasks much easier. 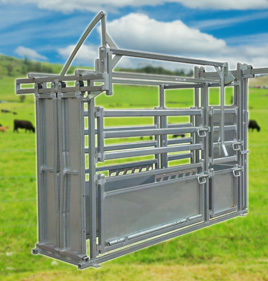 Our specialists are proud to offer the very best cattle crush head gate and cattle head bail products in Australia. Ace Equipment cattle crushes are manufactured in Australia using the finest materials and have been reinforced for enhanced protection. The Heavy Duty Vet Cattle Cage has all the features you need, including a split side access gate and vet doors that are fully walk through, as well as a lockable head bail and a convenient rear door. We also stock a separate cattle head bail, also galvanised for additional protection and strength. 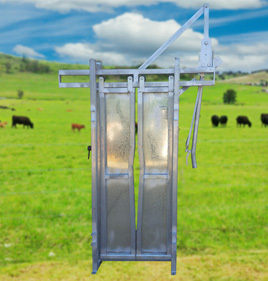 At 850mm wide, this cattle crush can fit comfortably onto Ace Equipment cattle yard panels. Whether you’re looking at a specific cattle crush for sale or just want further information on our cattle crush head gate and cattle head bail products, you can trust Ace Equipment to provide you with the quality products and services you need. To place an order or to seek more information, get in touch with us today by calling 0437 014 327 or emailing sales@aceequipment.com.au.